It’s normal to feel sad and disappointed when your iPhone's screen is not working or responding properly. Something going wrong with the phone you use for everything ranging from chatting, snapping, making calls etc. is not what is needed at all but don’t let the trouble of “IPhone or Ipad touchscreen not responding or working properly weigh you down, because in this Article, I will explain some of the major reasons why your “IPhone screen is not working properly”, how to fix the minor issues at home and lastly when to decide on taking it to the nearest IPhone repair office or center. Rarely, an IPhone screen stops working and responding to touch. Definitely, when this happens, you will tap/touch the screen of your device and nothing happens. WHY IS MY IPHONE SCREEN NOT WORKING PROPERLY? The first thing we have to do is to determine what led to the problem of the screen not working. This normally happens when the IPhone touch processor (popularly Known as a digitizer) stops working in the correct way or the IPhone software failing to communicate with hardware in the right way. Majorly, the cause of your screen not working properly maybe either Hardware problem or software problem, and luckily for you, I will help you with solutions to the problem. Before deciding the cause of the problem, the usual and normal thing to do first is to troubleshoot your device. What I will refer to as troubleshooting in this post is “Software Fixing”. This process is very easy to carry out. Ways you can troubleshoot is carefully explained below lucidly. At times, IPhone or IPad screen may stop working due to a specific app malfunctioning. In most cases, the touchscreen of your device stops working or responding when you use the particular app. This is the simplest situation because all you have to do is to uninstall the particular app and later reinstall it… Note: If the problem persists after reinstalling it you have no choice than to finally forget about the app by removing it totally. Another thing that may make your screen not to respond well is wet fingers. Make sure you clean your IPhone screen as well as fingers. Simply dry off any moisture and ensure they are perfectly clean. This will help us prevent anything that may be hindering your touchscreen from making a good connection. NOTE: Try removing the screen protector and also ensure you are not wearing gloves. Often times a mere hard resetting of your device may get your device back on track by fixing the unresponsive touch. The way you perform a hard reset on your device depends on the type of device you are using. For iPhone X, iPhone 8, and iPhone 8 Plus: Simply press and release the volume up button quickly. Then press and release the volume down button quickly. Now hold the side button until the Apple Logo shows up & that’s all. For iPhone 7 or iPhone 7 plus: Simply hold the volume down and volume up button together until the Apple Logo shows up. For iPhone 6s and earlier, iPad: Simply hold the home and plus the top or side buttons for some seconds until the Apple logo shows up. 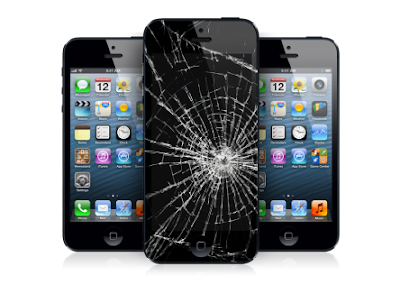 The Obvious solution in this type of iPhone touch screen problem is paying a visit to the nearest Authorized Apple repair center or an Apple store and have them help you out.